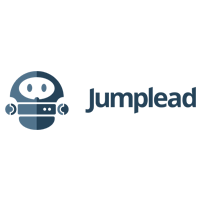 Lead Forensics is a lead generation software designed for business-to-business (B2B) companies. It enables businesses to capture the contact information of their website visitors with the intention of converting them into paying customers. In this article, we cover Lead Forensics reviews and pricing. Ready to get started? Get a free trial. Users who gave Lead Forensics a positive review said that it helped them connect with website visitors more efficiently. Some of them also like its ability to shows the frequency of lead visits, the duration of their stay on a web page, and the pages they are most interested in. Users who gave Lead Forensics a negative review reported that it can only capture a lead’s company information and not other useful details such as personal contact information. Others complained about its steep pricing. Lead Forensics pricing is customized depending on the amount of website traffic. However, third-party sources reveal that its prices range from $99 to $2,000/month with a 12-month commitment contract. Interested users may contact its support team to request a detailed pricing quotation. Ready to get started with Lead Forensics? Get a free trial. 13 Best Lead Generation Software for Sales 2019: Businesses use lead generation software to capture a lead’s information — usually from a website — and then build a database of contacts for qualifying and converting those leads to customers. In this guide, we compared 13 lead generation software in terms of price, ease-of-use, integrations, and more. How can Lead Forensics help businesses capture their targeted key companies? Lead Forensics has a feature called Data Manager that lets users build and upload a list of their targeted companies. It then alerts them when these companies visit their websites so they can immediately initiate contact. Can Lead Forensics help identify high-value leads? 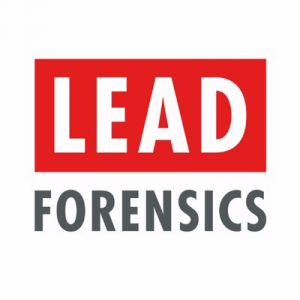 Lead Forensics allows users to set criteria for high-value leads. The system then profiles each lead based on the given criteria and prioritizes the ones who are most actionable. It then creates a full report detailing the activities of these leads. Have you read these Lead Forensics reviews and are still not sure if it’s the right fit for you? Read our reviews of all top lead generation software or check out one of these three Lead Forensics competitors. What I like most about LF (aside from identifying the company visiting your website) is that you have the ability to drill-down to the specific pages and information your visitor was interested in. I’ve found this to be particularly useful if you have a proposal or contract you’ve sent to a certain company. If you find they’re interested in “x, y, and z” services on your website, you can really speak to these points in your follow-up presentation. While I’ve found that Lead Forensics truly identifies the most companies (compared to KickFire, LeadFeeder, FastBase) they are $$$ and it may not be in every small business’s interest to pay $ more per month to identify a handful of more leads. I’ve compared Lead Forensics to KickFire, FastBase, and LeadFeeder — Lead Forensics lead the way in visitor identification (in January 2017). If lead/sales budget is not a worry, save your time and go with the leader. Accurately tracks visits to the site. 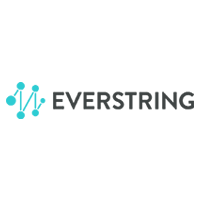 Has great triggers for emails and flagging, based on pages visited, company properties, etc. Only works for larger companies, not the smaller businesses we work with. It’s very expensive and they don’t have a lower tier. They lock you into a full year agreement, with no trial. That it doesn’t work on smaller businesses and that it would be very hard to find the actual visiting person, rather than the company. Love the fact that it e-mails me alerts of critical activity in case I forget to login. The intelligence the site can give you is amazing, so far and beyond Google analytics. Pretty easy to setup. Can be useful to proactively reach out to a potential lead that didn’t make contact yet, but sometimes a little tricky to make it seem serendipitous and not a cyber stalking. It’s not a primary source of leads for us, but sure is a great luxury to have! Not a lot of help from company about how to take the information it generates and use it to create sales. The online “seminars” I did go to felt more like “how to con and get through a gatekeeper” rather than useful for high end technical sales. Need a way to use results that doesn’t feel like cyber stalking. Wish they had a way to map our site to tell which pages were missing widget to allow for tracking. Also, went through a number of customer service reps in our time, so seemed to be a bit of a revolving door. The fact that a service like this insists on being an annual contract is a bit absurd too, especially since their contract is quite convoluted. Make sure you have a plan of how you’re going to use the information it generates. Also, kind of a long painful process to put their code on EVERY page on your site. Used to be one of the only games in town, but several cheaper alternatives now. Helps you understand who is looking at your website and content. The accuracy is very good for what is essentially reverse IP lookup. It would be helpful to narrow down to the actual individual, not just the company, but I know that is tricky. Their customer service is great, they are very responsive.